I have tried several times to fly the airbus and I cannot seem to be able to get the elevator trim to work. I can see the trim wheel moving on the ground but it seems "Stuck" while flying.I am not sure if I am fighting some part of the autopilot. Also sometime the auto throttle comes on even when the "Autopilot" is turned off.Could any or all of the above problems be related?TerryPS: The elevator trim in "ALL" of the other FSX aircraft seem to function corectly with the Logitech Extream 3D Pro joystick. The trim control via the keyboard (7/1 keys) also will not work in flight. I am not sure about the autotrim. I rarely use the autopilot for landing but I set the speed as required but then use the trim to adjust the descent rate. Is this wrong, if so how is it done in practice. I am sorry to have ruffled so many simulated Airbus drivers out there with my questions on the trim and autopilot system. Airbus along with most of the other manufactures are now building aircraft that do not require conventional piloting skills that have been used since man first flew. No more stick and rudder pilots, instead you are system managers and video game players. Maybe that is why I seem to have so many problems with the A321. There are too many systems that want to fly the jet "For" you instead of you flying the jet. Automatic systems are good; especially when they are working correctly but the crew also needs to be able to hand fly the jet. 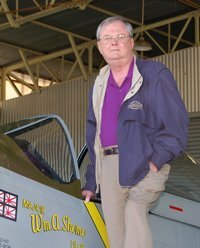 That is what I am trying to do, hand fly the jet and not just dialing in numbers on the autopilot panel.Many years ago, the Air Force had problems with the F-111s and the Stall Inhibitor System that was built into the jet. The jet would actually fight the pilot during certain maneuvers which required the aircraft to be going in other directions other than straight and level. 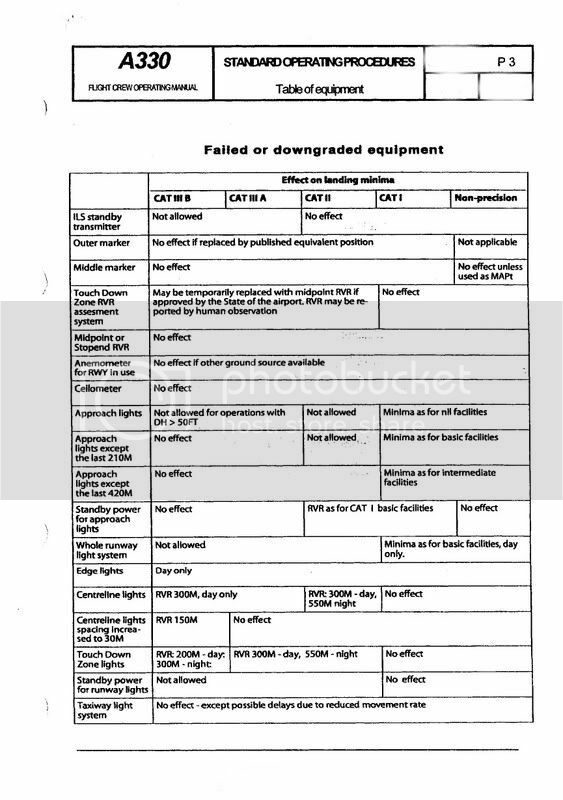 I believe the manufacture finally put an over ride switch in so that the crew could actually do their job of getting the bomb on target without the jet trying to do something else.TerryPS:In a reply above response to "Reading the Manual", where can I find one to read? The help section in FSX only cover Basics and not specific aircraft systems for aircraft like the A321. At least I could not find it in the beginning (non-flying part) of FSX. IanWhen I had fly the A320 (PSS) I always use the trim to set the descent rate required. In all posts it seems that everybody says do not use th trim. What is the best way to have a descent rate fixed without having to push on the joystick. While it is interesting to compare real world operations on aircraft to the FSX models, at the moment there is very little point in trying to fly the FSX Airbus as you would the real thing, as (quite apart from the poor implementation of several aspects of the aircraft in its FSX incarnation) it is very basic in comparison to the systems on board the real aircraft.In fact, I showed the FSX Airbus to one of my friends, who is a designer for Airbus Industrie (he's currently working on the A400 BTW) and he #### near fell off the chair laughing at the climb rate which the FSX Airbus was capable of!That aside, when it comes to emulating real-world operations, it's also important to note that airlines choose to operate their aircraft in very different ways from one another, and what is deemed acceptable for one, might not be allowed by another. What generally happens is that an airline will produce its own Standard Operating Procedures (S.O.P.) 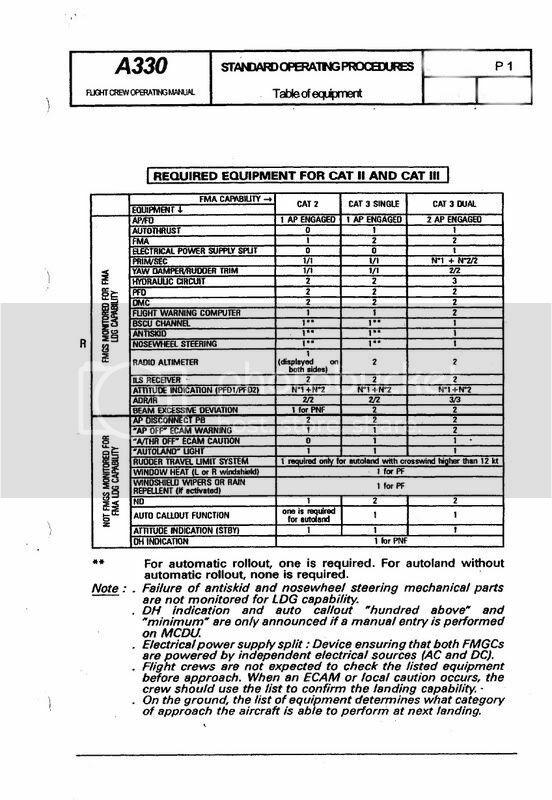 manuals - which are usually abridged versions based on the aircraft manufacturer's ones - but with company policy preferred operational procedures listed in them in cases where one or two different modes of operation are equally viable.This can be for a number of reasons: sometimes technical - i.e. what engines are fitted - as the engine type fitted to the aircraft can have a bearing on what the correct readings on the ECAM should be, for instance. 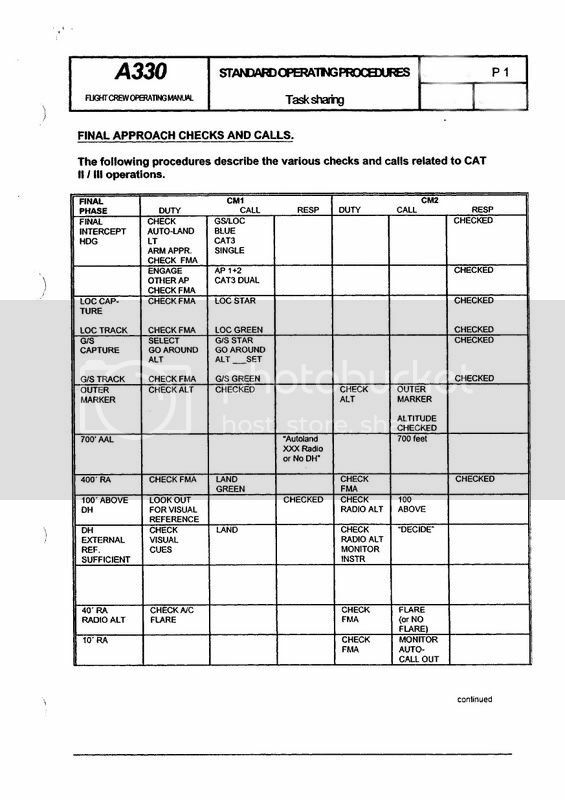 Some procedures are based on other factors, often geared towards more economical operation.There is usually a lot of useful technical information in these airline-specific manuals too, so if you can get hold of one you'll find it interesting, although that might be tricky, as airline S.O.P. 's very often contain information related to security issues too, and needless to say airlines don't just hand these out to anyone who wants one - they invariably have to be issued and signed for.Nevertheless if you can get hold of one, they make interesting reading. For example, I have the A320 S.O.P. for a large European airline in front of me right now, and (randomly opening a page and finding something listed) the descent preparation page, which it fell open on, informs me that the descent profile will be altered (descent angle reduced) by having engine anti-ice protection on, because the FADEC control which handles the continuous ignition protection against a flame out sets a higher idle speed for the engines; so you'll come down slower at zero throttle settings with engine anti-ice switched on. Incidentally, it recommends either increasing the descent rate on the autopilot, or using up to half speed brakes in that situation.This is the sort of detailed real-world stuff, for which you'll have to wait if you want to emulate it, at least until such time as a decent third-party add-on Airbus for FSX comes along. In much the same way as you will have to wait to get a reasonably authentic Boeing too. These generally come with a PDF manual which is fairly close to the real aircraft's actual manual, so 'doing it like it's done in real life' is usually quite feasible if you are prepared to read it all.Finally, with regard to the comments on 'bad press' that Airbus aircraft have received, one has to view this in the correct context: Much of it has stemmed from several well-publicised accidents involving Airbus aircraft, and it is fair to say that generally speaking these have been caused by aircrews being unfamiliar with the complexity of the systems on board the aircraft when such complex systems were very new (bear in mind that the following examples, while fresh in our minds, were in fact, 18 and 14 years ago respectively).So to take two well-known examples of Aibus accidents:First, (1988) Air France A320-111, F-GFKC, which clipped the trees on the airfield perimeter and crashed into woodland while performing a low pass along one of the runways at Habsheim. This accident was a combination of several factors: The crew not carrying out a detailed briefing of a proposed routine for the display; a lack of familiarity with the runway layouts at the airport, resulting in an impromptu unbriefed routine; getting too low and slow; a lack of understanding of systems such as the alpha floor function on the aircraft, and several other minor factors too. The aircraft in question was carrying out a charter flight for the Mulhouse Flying Club, and to carry out such manoeuvers in those circumstances was at best inadvisable, and at worst questionable from a legal standpoint. 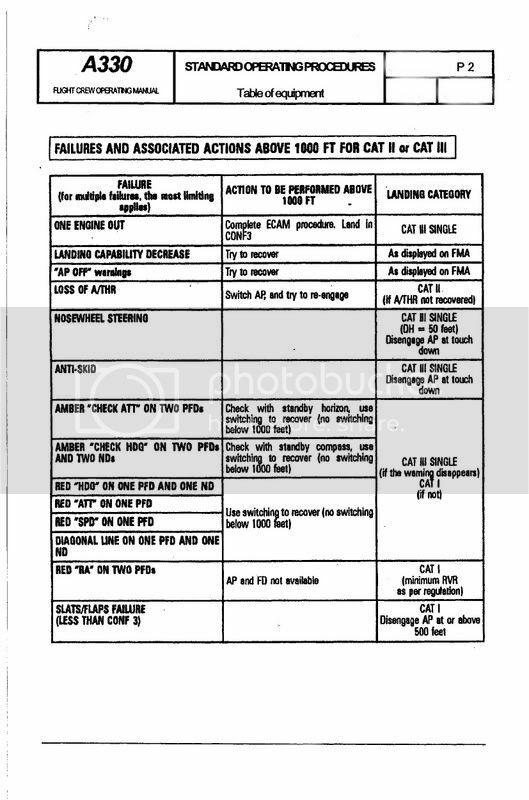 The conclusion of the accident investigation was (understandably): Pilot Error.Example two (1992) is the equally well-known crash of Air Inter A320-111 F-WWDP, which impacted a steep wooded hillside while on approach to Strasbourg. In this accident, the aircrew inadvertently selected a 3,300 FPM (feet per minute) descent rate on the autopilot, thinking they were selecting 3.3 degress FPA (flight path angle). 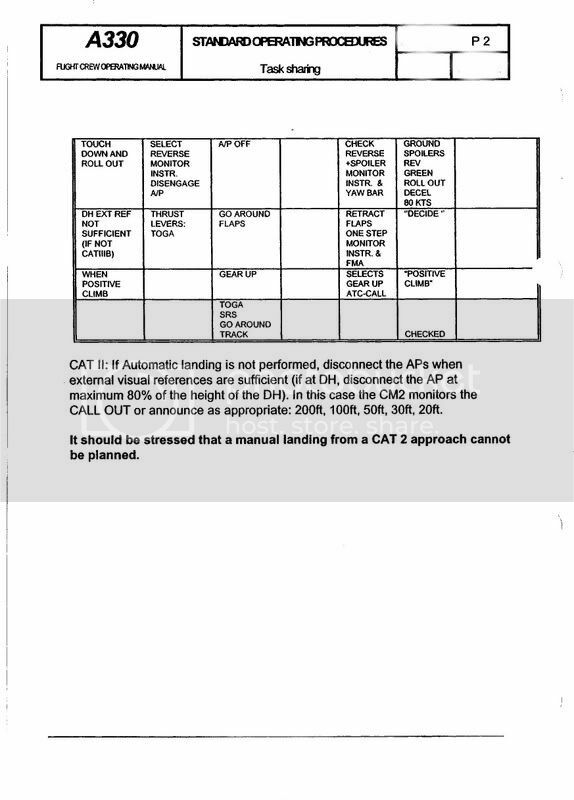 While this is in fact a crew error, it was found that the mode control panel's displays were somewhat confusingly designed, and this is regarded as partly to blame for the crash. Needless to say, the M.C.P. was redesigned as a result of the accident investigation's findings.If I am honest, I prefer Boeing's approach to cockpit design and instrument layout, but this is a personal preference (many prefer the Airbus touch), and as with most things in aviation, development often comes at the expense of hindsight from accidents. So when we consider the accidents that have occurred with Airbus aircraft, it is only fair to point out that, quite apart from Airbus Industie's innovative overtures, a much greater emphasis is placed on cockpit resource management (C.R.M.) these days, making such tragedies far less likely. There is nothing wrong with Airbus Industrie's cockpit and aircraft design as long as the crews are familiar with their equipment and its functions, as evidenced by Boeing's willingness to mimic the cockpit commonality for which Airbus are so famous. Although if you sit in a few Airbus aircraft with 'common' cockpits, you do find that they are not quite so identical as you might imagine, nevertheless, it's interesting to note that the approach briefings for most Airbus aircraft include mentioning the aircraft type, just to remind the pilot that he needs to remember which one he's in so that he can flare it at the right angle and avoid a tail strike!By the way, if you want to know anything specific with regard to how to fly the A320, I'll be more than happy to scan the relevant page(s) from a real manual and stick them on this thread, as long as you don't want me to scan them all! But bear in mind that they may well make mention of stuff that simply isn't replicated on the FSX Airbus. My real question is suppose that I will be hand flying th approach and I need to stay with the glideslope, usually I will fine tune the rate of discent making it easier on the stick. I wonder whether this is possible in the real world.